Home » Flavours Blog » Why is Italy so inspiring? Why is Italy so inspiring? Are you longing for an inspirational getaway but not quite sure yet where to go? There are few places in the world that can compete with Italy in terms of art and culture. But what exactly is it about this country that makes it so inspiring for people across all borders? We have the answer! Find out why Italy is perfect for a painting holiday and the right place to unlock your creative energies. No other place in Europe – arguably the world – has a history and tradition as rich as the Italians. With its Roman Empire, Italy shaped our European civilisation drastically. From art and culture to governmental structures – we can still witness the dimensions in which Italian history and culture affected our every day lives today. So, going to Italy and visiting historic cities such as Venice, Florence or Siena will bring you back to the roots of everything. And really, what could be more inspirational on a painting holiday than that? 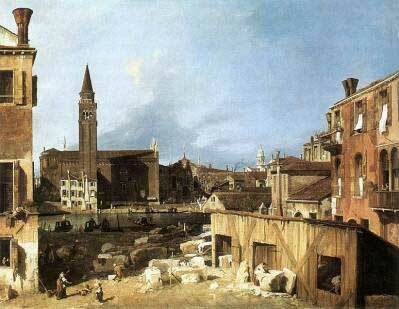 As spectacular and extensive as its history is also the Italian art collection. Being the birth place for artists such as Michelangelo, Leonardo Da Vinci, Sandro Boticelli, Raphael, Canaletto and many more, it seems like Italy has been an inspirational place since the beginning of time. Cathedrals and buildings bring us to the next aspect that makes Italy so inspiring for a painting holiday: its astonishing architecture. It is almost impossible to pin point one (…or even ten) buildings as the perfect motive for your next painting. The Leaning Tower of Pisa, The St Mark’s Basilica in Venice, The Greek archaeological remains of Agrigento in Sicily, the Florence Cathedral are just a few architectural highlights to mention. 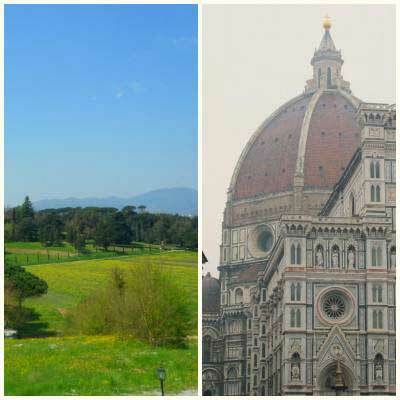 Besides its marvellous buildings, Italy is also the country with the most World Heritage Sites including complete historic centres such as Siena, Florence, Pisa and Venice as well as the Amalfi coast. So, no matter where you go – inspiration will be guaranteed! For those who would rather want to get inspired by natural settings and beautiful landscapes, Italy is still the perfect destination. Let’s face it: what other countries can inspire you with volcanoes, rolling hills, dramatic coasts, idyllic vineyards, peaceful sea sides and fascinating sunsets all at the same time? Italy’s landscape has so much to offer that your brush will hardly stand still during your painting holiday! Can’t wait to take off to start your next masterpiece in Italy? Then come with us to try out your creativeness alongside an experienced art teacher. 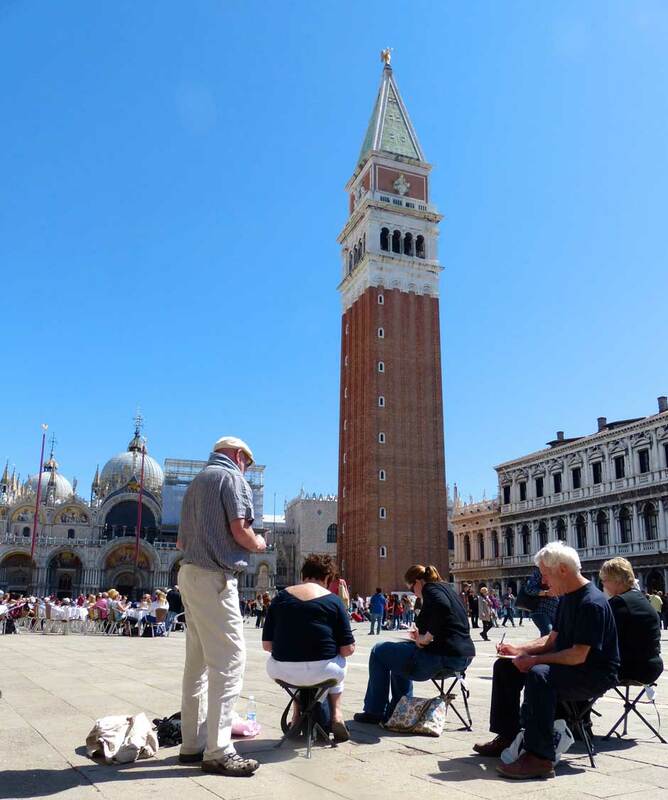 On our painting holidays you will find everything you love about Italy. Beautiful views, delicious food and exciting excursions that will provide you with the right inspirational input you were longing for. Contact one of our friendly staff members today to find out more.